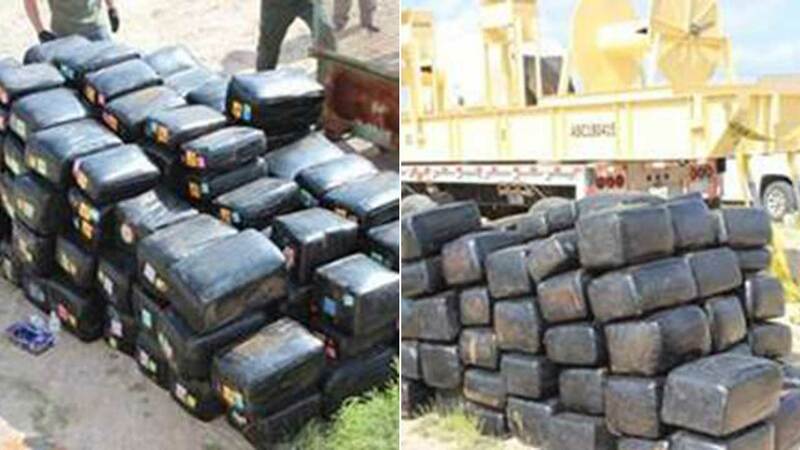 WESLACO, TX (KTRK) -- The Texas Department of Public Safety (DPS) seized more than two tons of marijuana with an estimated value of more than $24 million after a Texas Highway Patrol trooper pulled over a tractor trailer in Starr County on Monday morning. The trooper stopped a truck tractor towing a flatbed trailer for a commercial vehicle inspection on US Highway 83 west of Roma. The driver of the truck was identified as Carlos A. Lozano, 42, of Pasadena. Lozano was arrested for possession with intent to distribute marijuana and conspire to possess marijuana. He was placed in federal custody, and the investigation continues.